The People's Story gives an unique insight in to Edinburgh's working class people from the 18th century to the late 20th century. The displays include tableaux, original objects, images and personal stories to reveal their fascinating history of the city. The collection focuses on the history, culture, crafts and trades, and the people of Edinburgh but also as a place to explore more contemporary issues, events and opinions. What makes the museum stand out is that all of the displays are based around the words of Edinburgh’s people, taken from oral history reminiscences and written sources to tell real stories. The collections reflect this with objects ranging from Friendly Society regalia, banners and material relating to Edinburgh’s diverse communities. Walk down the Royal Mile towards Holyrood Palace. Pass New Street on your left and you’ll find The People’s Story on the left hand side of the road, opposite the Museum of Edinburgh. The clock overhanging the pavement above your head can be seen as you walk down the street. From Princes Street area turn on to and cycle down Waverley Bridge and then left at the mini roundabout onto Market Street. Cycle along Market Street/East Market Street and turn right into New Street. From New Street turn left onto the Royal Mile and The People’s Story is on the left hand side of the road opposite the Museum of Edinburgh. No direct bike parking facilities. Exit Waverley Station and turn left onto Waverley Bridge. Cross the roundabout and go up Cockburn Street. At the top of Cockburn Street, turn left, cross over North Bridge and continue down the High Street. The People’s Story Museum is on the left-hand side of road as you head towards Holyrood Palace, and is directly opposite the Museum of Edinburgh. The Lothian bus No. 36 can be picked up on Princes Street or Waverley Bridge. You can get off at a stop near where Jeffrey Street meets the Royal Mile. Once you are on the Royal Mile, turn left and head towards Holyrood Palace. The People’s Story is on your left after you pass New Street. It is opposite the Museum of Edinburgh, and its overhanging clock can be seen as you head down the street. There are lots of buses going down North Bridge which cross the Royal Mile. The People’s Story does not have its own parking facilities. You can find ‘Pay and Display’ on-street parking nearby. There are steps from the main entrance to second floor, exhibition space and third floor video room. We have a hearing loop in the video room on the 3rd floor. We have information in large print. Some parts of the venue have low lighting. Due to the number of requests for group visits, please complete the group visit booking form and return to us as far in advance of proposed visit as possible. This enables us to determine if we can accommodate group on preferred date(s). Banners for street protests, social, political reform movements and trade unions. There are a number of significant objects relating to Edinburgh trades including a Lockit Buik and documents from the guilds. Collections relating to crime and punishment in the 18th and 19th century are also well represented. The museum displays have a vintage feel, re-creating scenes of daily life, from work, home and leisure. You can see displays including a bookbinder’s workshop, wartime kitchen, tea room and jail cell.The People’s Story explores the lives of Edinburgh’s people from the late 18th century to present times. 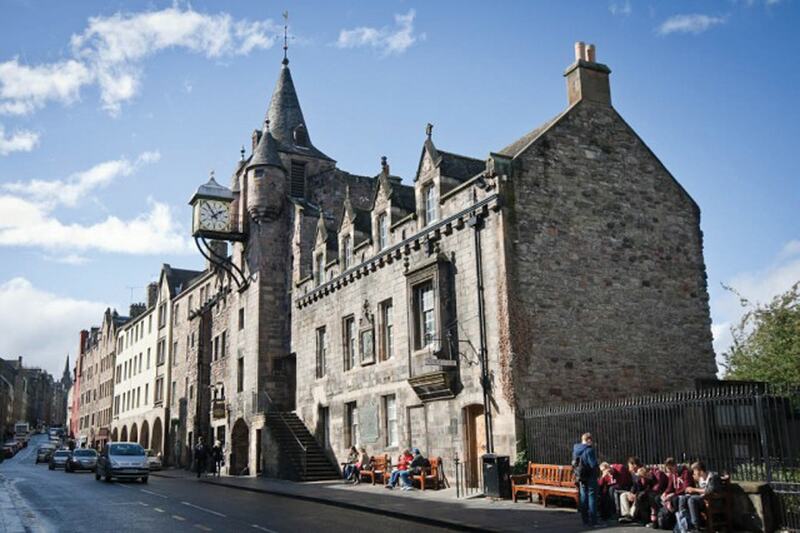 Housed in the Canongate Tollbooth, a Royal Mile landmark built in 1591, the building itself had numerous incarnations including conducting burgh affairs, collecting taxes and as a jail. Download our comprehensive access guide to find out how you can get to and around the People's Story Museum. Why not discover more of our other fascinating venues?